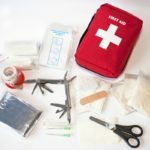 Do you happen to keep a first-aid kit in your home? If so, you understand how handy owning a first-aid kit can be when someone in your family suffers a small injury or is simply feeling ill. These are some great basic tools to have at your disposal when you have a small emergency. But as technology has become more advanced, the tools we now have access to during medical emergencies is also expanding. With the help of these innovative tools, you can act quickly (at home or on the go in Maryland) during emergency situations. And being able to act promptly and without hesitation can help improve the overall safety of the ones you care about—it could even save lives. Let’s take a look at how advances in technology are revolutionizing your ability to handle first-aid emergencies. As we mentioned, the typical first-aid kit houses a handful of basic items that can be helpful in case of small emergencies. But did you know that your smartphone or tablet can be a powerful first-aid tool as well? You can download a mobile app like the First Aid & Symptom Search app to learn information about how to handle emergency situations that may require first aid. With its extensive Medical Health Guide, it can direct you, step by step, through various first-aid procedures. Not only that, but it also features a symptom checker that will help you find out if you or a loved one are experiencing something that should be treated immediately. As an added bonus, it can be accessed offline during medical emergencies, which is especially important if you’re in a location without internet service. The American Red Cross is known for their charitable work, blood drives, and assistance with disaster relief throughout the world. But this iconic organization also offers a series of free mobile apps that you can download through the Apple App Store or Google Play. These easy-to-use apps give you access to helpful information and tips to guide you during various emergencies. Last on the list is the Zipnosis app. This amazing mobile app gives you access to quality care and advice from your general practitioner, without having to spend time waiting in a doctor’s office. The information you receive through Zipnosis can help you and your physician monitor your health before any issues arise. With that in mind, it’s a great tool for maintaining your health and avoiding serious medical issues in the future. As you can see, by simply downloading these smartphone apps to your mobile device, you can make sure you’re prepared for most first-aid emergencies, all with the touch of your screen. In the last decade alone, social media has made leaps and bounds, and is now a constant source of information and entertainment for most people around the world. But, in addition to that, social media has become a critical resource in helping organizations (such as The Red Cross) plan ahead and help people during emergencies. With the assistance of multinational computer company Dell, the Red Cross now runs three successful digital operations centers. In these centers, social media conversations about natural disasters can be monitored, allowing The Red Cross organization to send help where it is needed the most. With this vital information, The Red Cross response teams are able to quickly and efficiently provide aid to victims, saving hours of work and countless lives. Imagine for a second that you or a loved one get a deep cut resulting in a nicked artery and/or major blood loss. Now imagine having the ability to instantly repair that injury before excessive blood loss occurs. Well, with the significant advances in technology, the ability to treat wounds that effectively is right around the corner. Well, an ingenious 17-year-old named Joe Landolina, invented an injectable wound-clotting solution called VetiGel. VetiGel uses plant-based technology to quickly stop bleeding in mere seconds, and could be invaluable during emergencies because of its ability to close serious wounds in the blink of an eye. Right now, VetiGel is only approved for animal use, but a similar version of the VetiGel could be released for human use in the near future. This medical innovation could help people with life-threatening injuries that result in massive blood loss, providing the ultimate first aid. As the aging population grows, the frequency of heart attacks continues to rise. Because of this, the ability to diagnose a cardiac event in a timely manner can help save a significant amount of lives. That’s where the Kardia comes in. The Kardia is an FDA-cleared, mobile electrocardiogram (EKG) device. 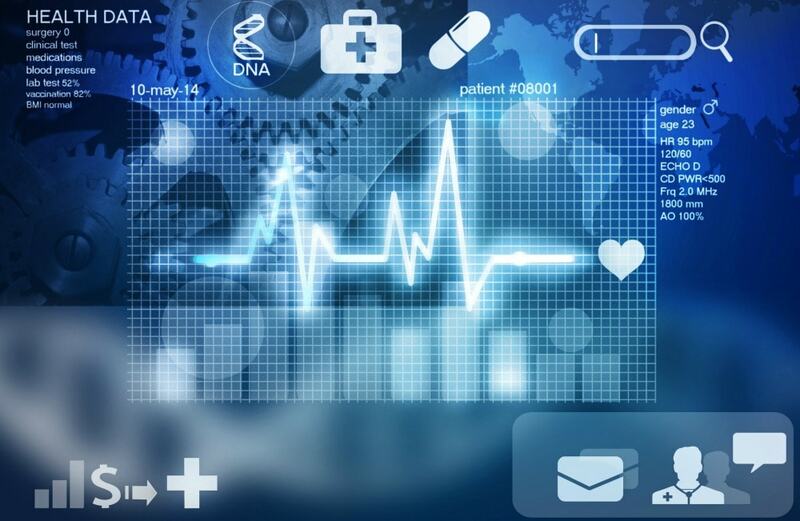 The data gathered from this powerful heart-monitoring tool uses an accompanying app to detect early signs of heart attacks and plays an important role in the future of first aid and medicine. Not only that, but it doesn’t require a doctor’s visit to obtain. That, coupled with a current cost of roughly $100, means that it is relatively affordable for such a highly useful and potentially life-saving medical device. Last up is The GALE—a modern take on the traditional first-aid kit. Referred to as a “Smart, Remote Healthcare Center,” The GALE features several compartments which are fully stocked with various medical tools that range from bandages to a pulse oximeter device. With the click of a button, you can access this information through an interactive voice agent—you can even make voice and video calls to on-call medical experts! As if that wasn’t enough, The Gale comes with a backup power reserve, USB ports, and LED handle lights to help you during night time emergencies. After using the kit, you can then use the touchscreen interface to refill any supplies you’ve used, which will be conveniently delivered to you by mail. As you can see, medical technology has come a long way and is only continuing to progress. With these convenient resources and tools, providing first aid is becoming more convenient, while valuable medical information is becoming increasingly more accessible. However, it’s still important to know what to do in case of an emergency. In order to prepare yourself in the event of a serious medical situation, it is a great idea to learn CPR and how to administer first aid properly. 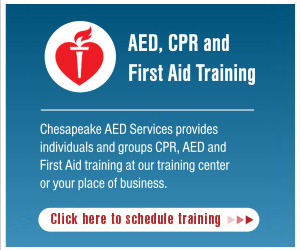 If you live in the Baltimore area and are looking for a way to learn these useful skills, visit Chesapeake AED Services for more information. As an industry leader in CPR and first-aid training, our certified trainers can teach you how to handle health emergencies, as well as how to utilize skills that could save your life and the lives of others.